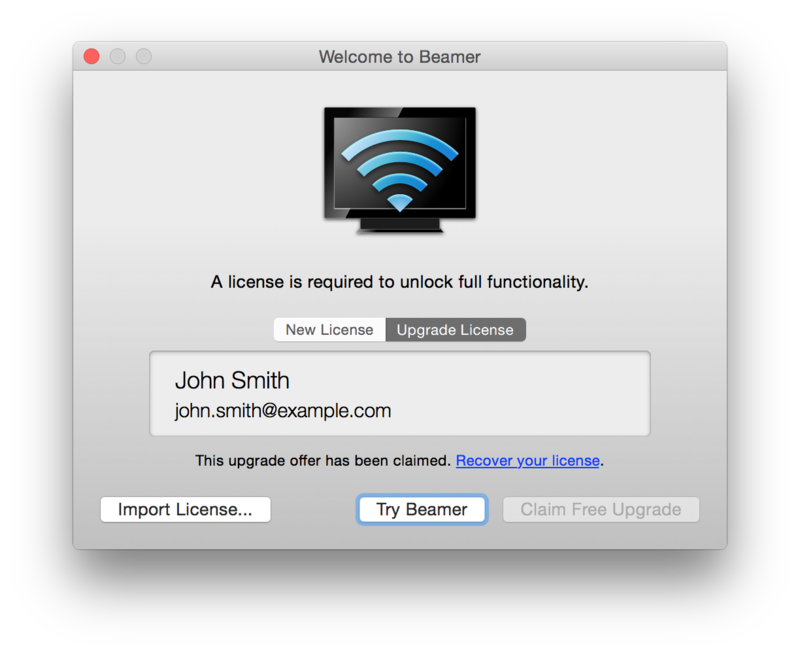 When you start Beamer for the first time, you may be presented with an offer to upgrade your license. If this offer has already been used, you will get the message “This upgrade offer has been claimed”. If you previously upgraded Beamer on another Mac, you can transfer the license from the upgrade to all your other Macs. You can also recover your license using your order number or email address. If you get this message, but you haven't yet upgraded Beamer on any of your Macs, please contact us.